Glacier’s ice-cold froyo certainly lives up to the name of this parlour. You can mix and match flavours in a pay-by-weight system ($3.30/100g), but we recommend the citrusy and stronger-flavoured yuzu or lychee over the blander chocolate or matcha. They also offer coffee-, tea- and chocolate-based drinks ($3-$6), as well as smoothies at $5.90 each. 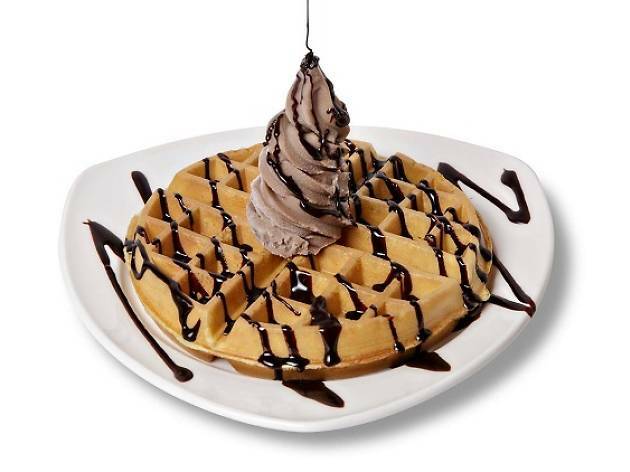 For a heartier treat, Belgium waffles ($3.50-$7.90), which can be paired with any froyo flavour of your choice, are a pleasant surprise – hot, fluffy and soft. 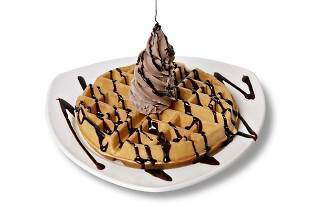 Glacier Frozen Yogurt Café also has an outlet at #01-29 Paya Lebar Square.